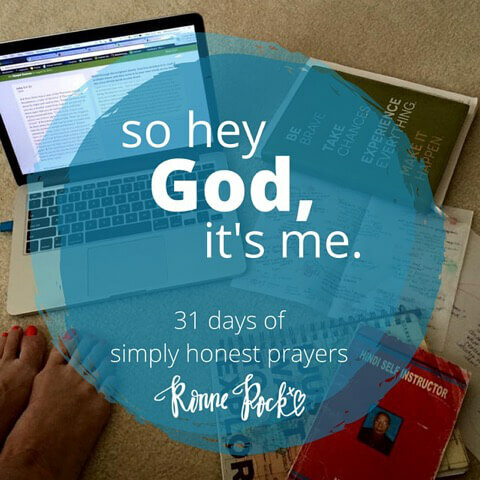 Throughout the month of October, I’m opening up the journal I’ve been keeping for eight years and sharing prayers as part of the #write31days project. The prayers aren't eloquent or poetic – they’re simple honest talks with God written over a cup of coffee or a glass of wine. Some prayers are joyful and some are screams. There are moments I adore Him and times when I just don’t know anymore. Some are written in the first light of dawn, and some don’t come until the day is over. And as the month goes on, I’m praying that God will give me bravery to share some of our most vulnerable conversations. I believe there’s power when prayers are shared, and it’s my hope the words might help someone else find the words.